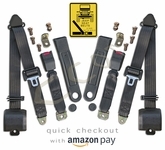 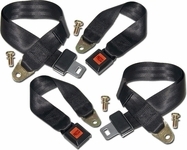 1992-95 Jeep YJ Wrangler 3 Pt Retractable Seat Belts. 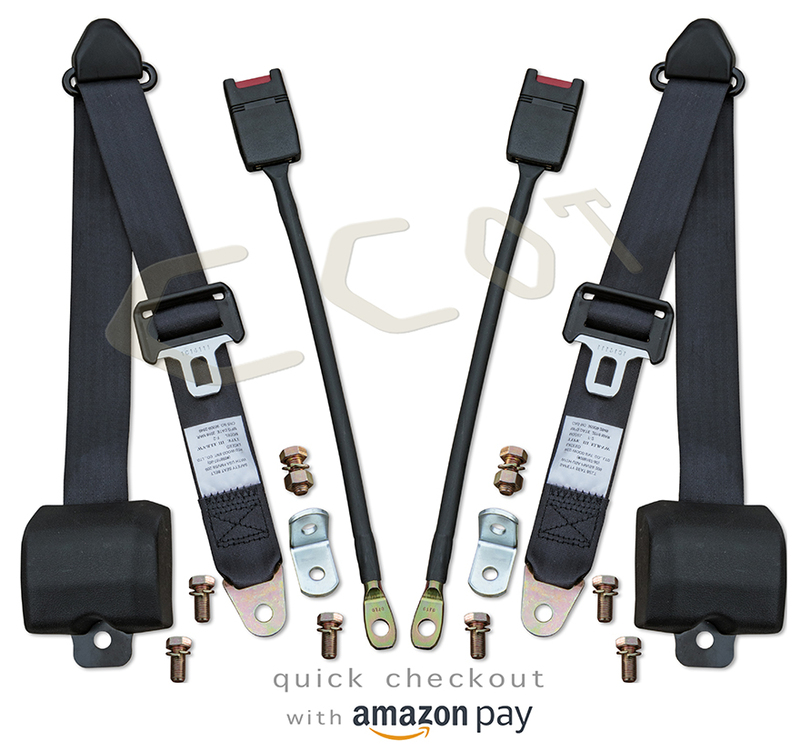 3 Point Retractable Lap and Shoulder Belts. Each kit includes belts for 2 seats. 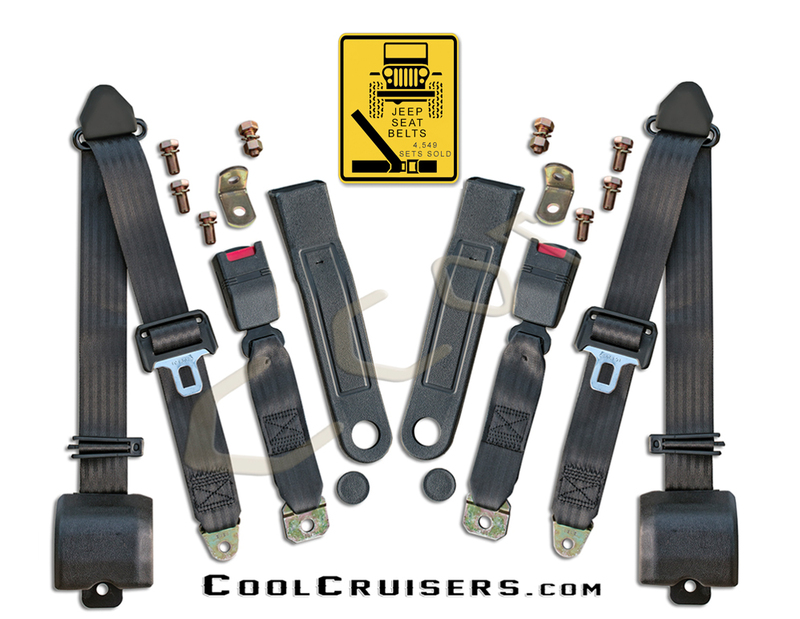 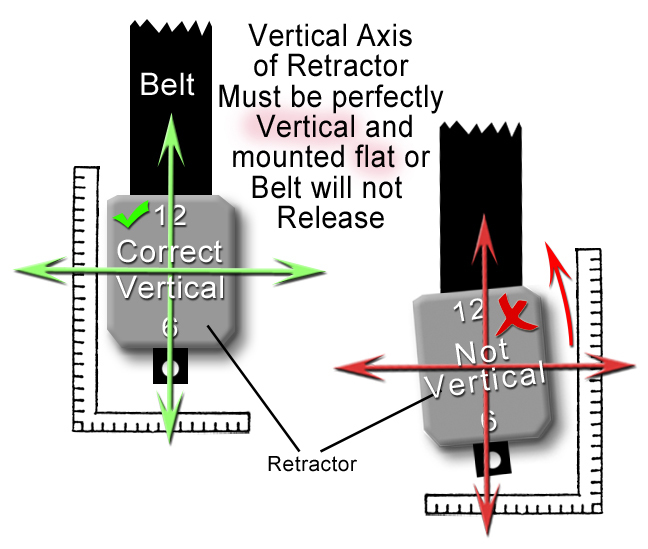 Belts mount on either driver or passenger side. Seat belt hardware with "L" mounting brackets included. 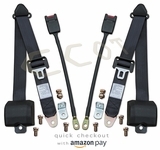 Buckle measures 18.5 inch and cable has black rubber coating. 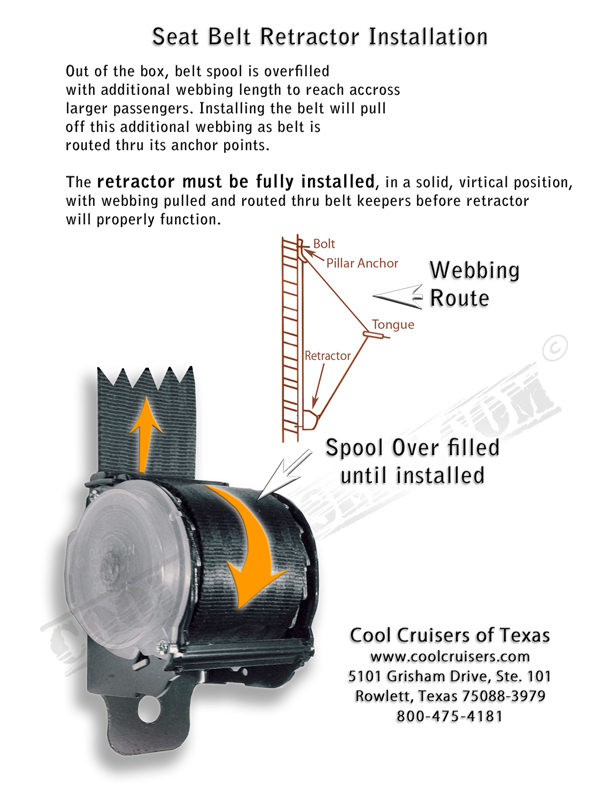 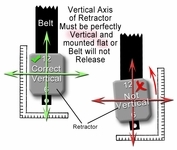 Retractor webbing, 115 inch long. 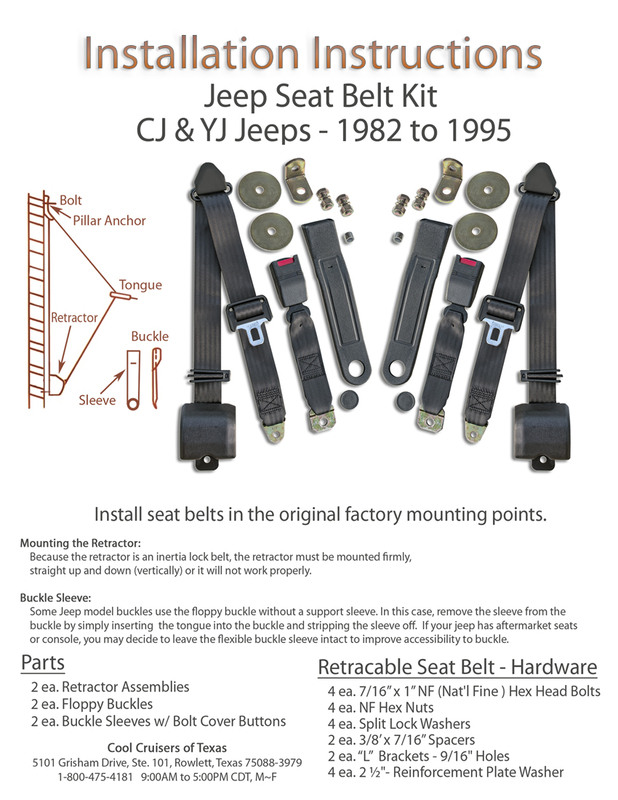 Fits Jeep Model Years 1982 and UP. 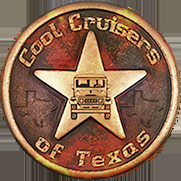 A Cool Cruisers of Texas time-proven part.